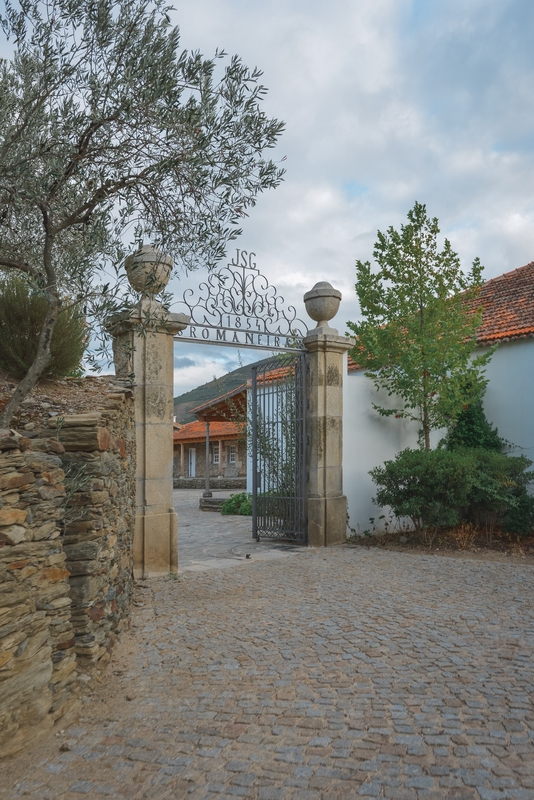 The next stop on our tour of Portugal was a visit to the Douro Valley wine region and a stay at a working winery called Quinta Romaneira. 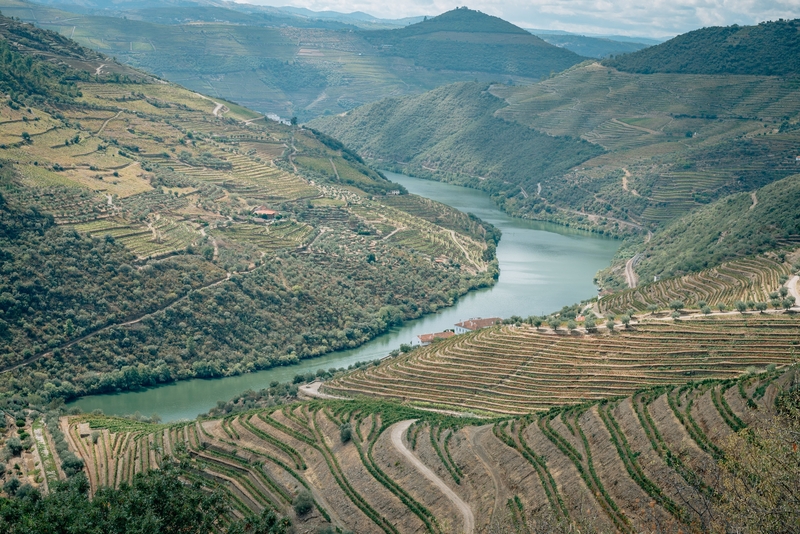 The Douro River valley is the "Napa of Portugal", and is the oldest demarcated wine region in the world (yes, even older than the Bordeaux of France). 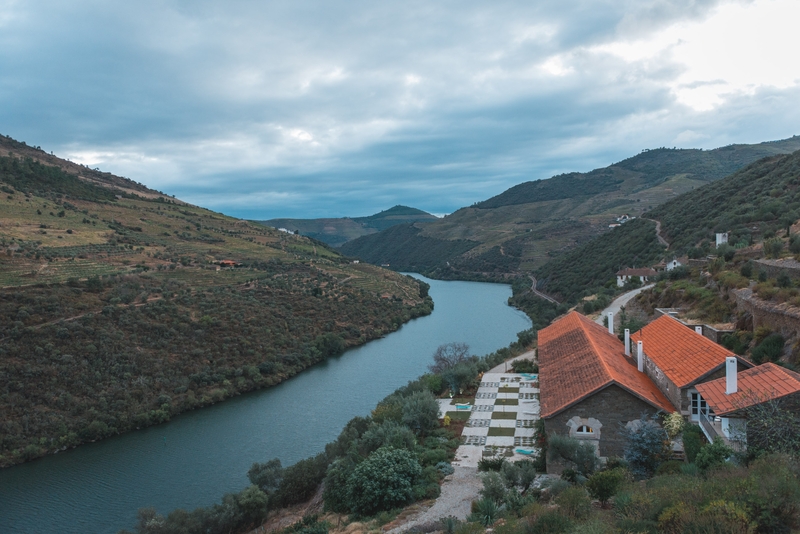 The Douro River flows across north-central Portugal, starting in Spain (where's its known as the Duero River) and terminates in the Atlantic Ocean at the city of Porto, the second-largest city in Portugal (and the third stop in our tour). The Portuguese have been making Port wines and tables wines for over 500 years, and since Portugal's entrance into the Common Market in 1986, the wine industry has seen enormous growth in wines other than Port. 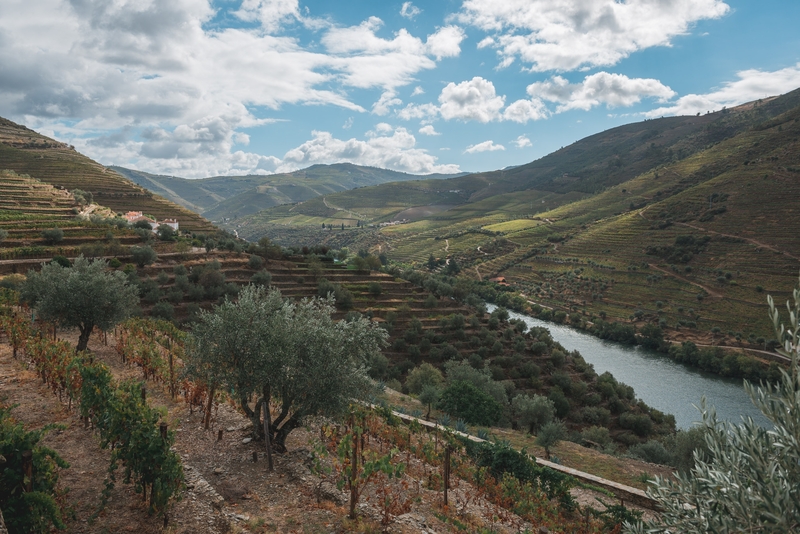 We did a lot of research, and Portugal's Douro Valley consistently ranked among the top "up-and-coming" wine regions in the world; ironic given its rich history. Monday morning we were up early and caught an 8AM train from Lisbon's Santa Apolonia Station to the city of of Porto in the north. The ride takes about three hours, and a first class ticket costs 40 Euro (tourist class is 35 Euro so it was an easy and sensible upgrade). We arrived in Porto a little before 11AM and rented a car from the Avis counter at the station. We were on the road in no time. 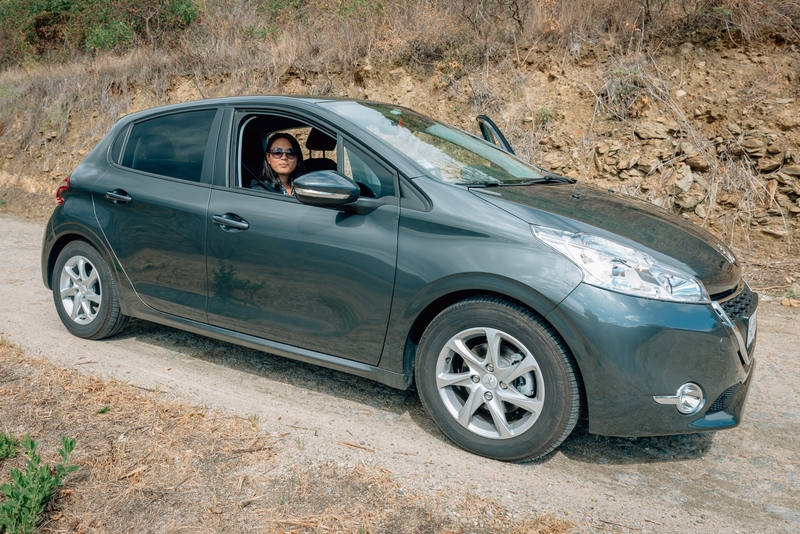 Renting a car in Portugal was surprisingly cheap and easy, and the roads were in great shape and easy to follow (your US drivers' license is valid in Portugal, but not elsewhere in the European Union. To drive into Spain, you would need an International Drivers' License which you can buy from AAA for about $20). The car didn't have a GPS, so we had to rely on Apple's much-maligned Apple Maps for navigation, which worked okay for the most part, but we had to turn to Google to finally get to the hotel. We drove about two hours up the Douro Valley toward a little town called Alijo. Our destination was a working winery and inn called Quinta Romaneira. 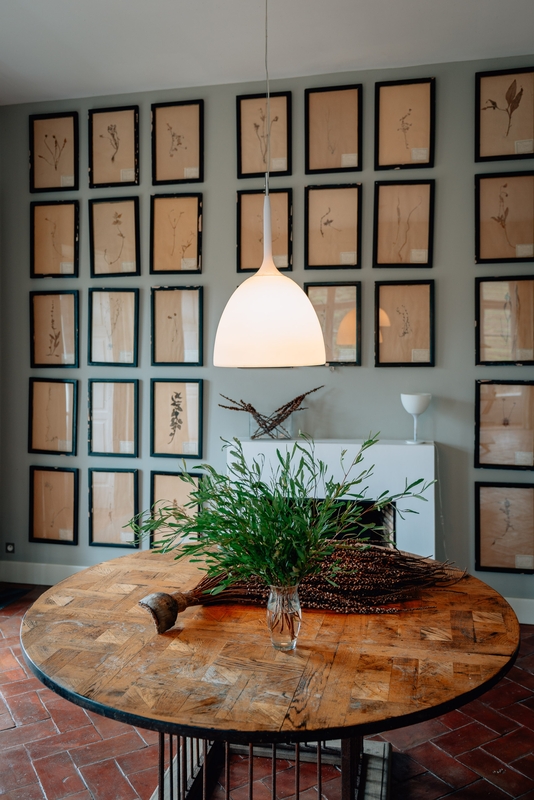 They operate one of the oldest wineries in the Douro Valley, and recently converted the old winery buildings into a resort that focuses on wine, food and relaxation. The winery still makes Port wines, but has increased its production of table wines which is now its biggest business. Before Portugal joined the European Union, there were numerous government regulations over winemaking intended to protect the production of Port, Portugal's most important export. Vineyards line the Douro Valley, but the production of wine was not permitted outside the city of Porto. The grapes would be loaded onto barges and shipped downriver and made into Port at enormous Port lodges in the town of Vila Nova de Gaia, across the river from Porto. As a condition to joining the Common Market, Portugal's wine regulations had to be relaxed to permit the on-site production of wines other than Port, and to permit the production of Port wine in locations other than Porto. These changes went into effect in 1986, and have resulted in an enormous increase in both Port wines and table wines. 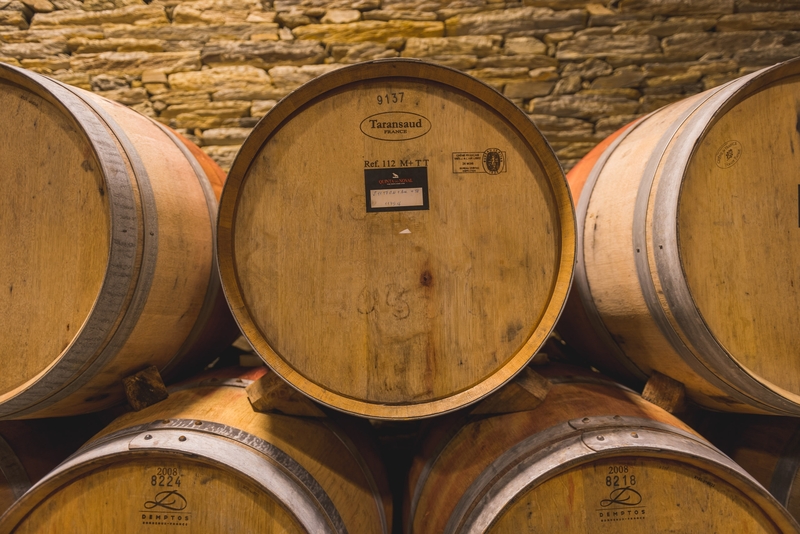 Since wineries, or quintas, started producing on site, the wine tourism business increased dramatically. 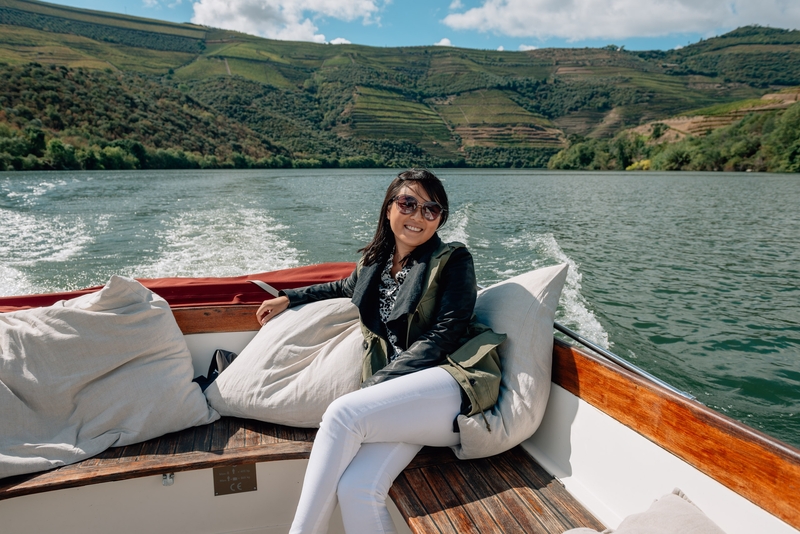 With a car and a map, you can now drive along the Douro Valley and visit several wineries, sampling Port wines and table wines along the way. It's not quite like visiting Napa Valley or Sonoma Valley, but it's getting there. In the California wine country, the wineries are well-suited to drop-in visitors, and can be easily found along well-signed roads. In Portugal, its best to make an appointment and most quintas don't (yet) have elaborate visitor centers or professional guides. 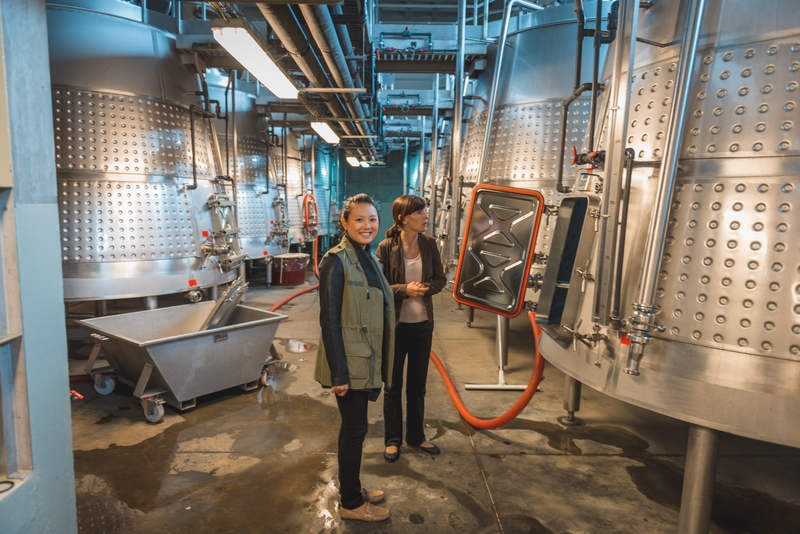 You'll likely be meeting with the winemaker, and tastings are seldom done at the winery. Visiting a winery feels more like...visting a winery, rather than attending a tourist attraction. I suspect this may change as there's real money to be made, but for now I prefer the laid-back charm. Our intent was to use Quinta Romaneira as our base, not only sampling their wines but also visiting several other quintas in the area. However, we succumbed to both bad weather and laziness and ended up staying at Romaneira. The weather was unseasonably cool and rainy, and the resort sits at the bottom of a treacherous 6 kilometer graveled roadway. We decided that the combination of rain, steep gravel roads and wine would not lend its self to the sensible enjoyment of the Douro Valley. 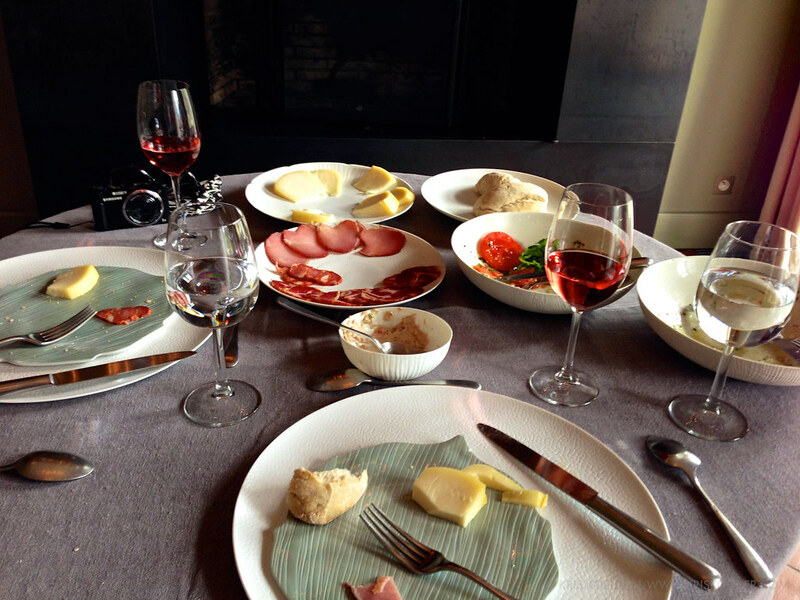 We didn't do much the first day we arrived, aside from an enormous lunch and a bottle of rose. Later we went to the library for Port tasting and sampling some cocktails made from Port and tonic. There were enough snacks served throughout that we skipped dinner and headed to bed early after a long day of traveling. The following day we had three objectives: tour the Quinta Romaneira winery, attend a wine tasting and take a boat tour of the Douro Valley. It was pouring rain when we awoke and didn't stop the entire day. As much as the rain might have dampened our sightseeing plans, it was a diaster for the wineries as the grapes were just coming into harvest. Lots of water and humidity coupled with ripened grapes results in unwanted mildew and a disastrous harvest. This place is like fantasy camp for wine nerds. We toured the winemaking facilities with a guide from the hotel, then returned to the Library for port tasting. The process of making wine isn't unfamiliar to us, but the production of Port has additional steps such as the introduction of Brandy and very particular aging techniques. After the wine tour and tasting we had a late lunch of cuttlefish salad, salumi and a bottle of vino verde. The hotel is run by a French operator called Masions de Reves, and is unlike anyplace we've every stayed. 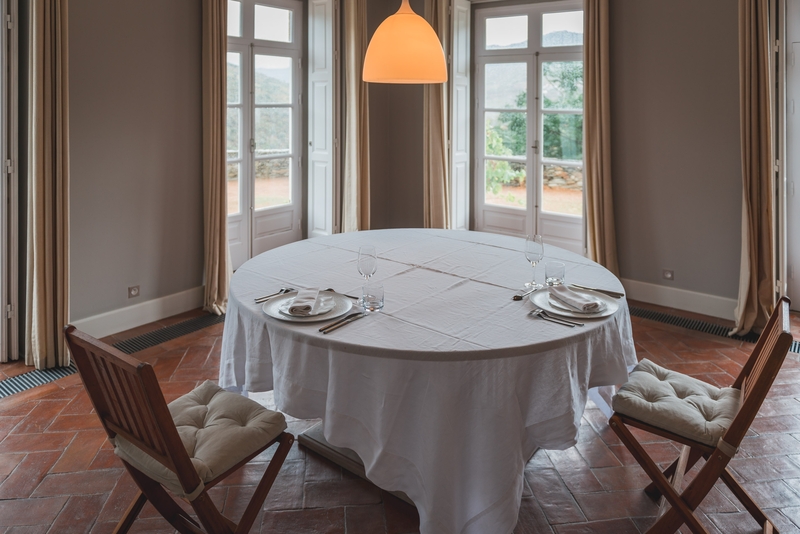 The property is spread among the vines on a cliff overlooking the Douro River. There are two main houses that have been converted to guest spaces, one is a library and the other for dining and cooking classes. The service is very unstructured, and we jokingly referred to it as a Montessori hotel. If you want to eat, tell someone you want to eat, and they'll take you to a random, exotic location set for a meal. There are no menus (and thus no prices). They bring you the chef's choice paired with a variety of wines, and everything you eat is terrific. After lunch, we decided to visit the indoor pool (the outdoor pool, while very pretty, is unheated and gets very little use). 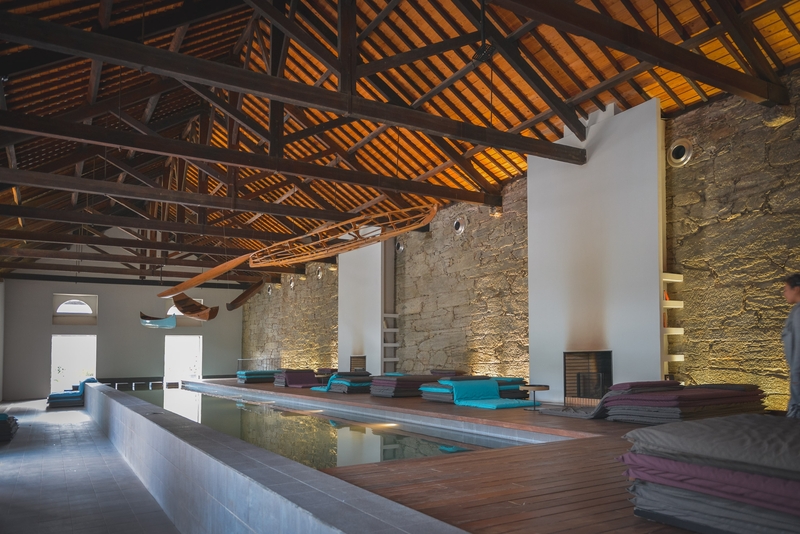 Before grapes were shipped to Porto by boat, they were stored in a warehouse that has since been converted to an indoor pool and gym. The pool was super-heated to about 95 degrees and the two large fireplaces were lit, making it a perfect way to pass the time on a cold and rainy afternoon. That night we had dinner in the Library, with the two of us seated at a large ornate dining table. Dinner was scallops, roasted cod and a chocolate mousse for dessert. And yes, there was plenty of wine before, during and after. The morning of our last day in the Douro Valley, the sun was shining brightly and temperatures were starting to rise once again. 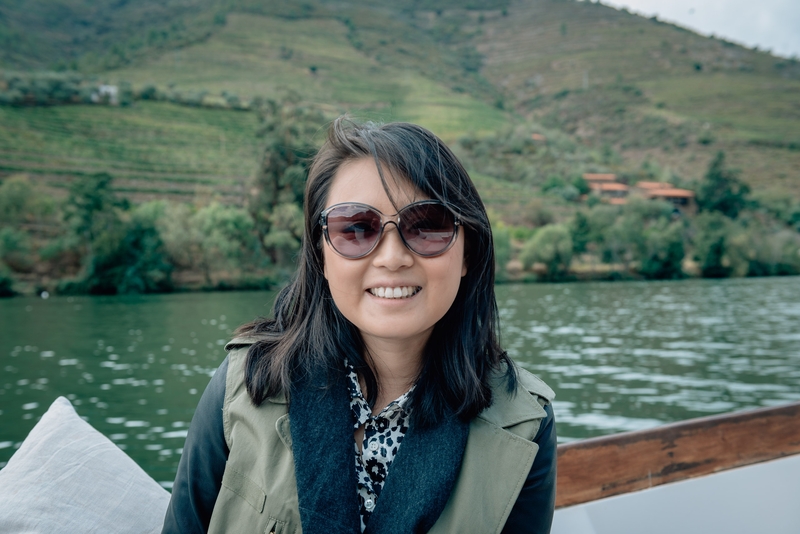 After breakfast, we took a boat tour of the Douro River and could see several of the neighboring wineries nearby. If we had more time, we could have visited a few wineries by boat, which was our original plan before the poor weather pushed back our boat tour and cut the trip a bit short. Planning this trip to Portugal turned out to be much more difficult than we anticipated. 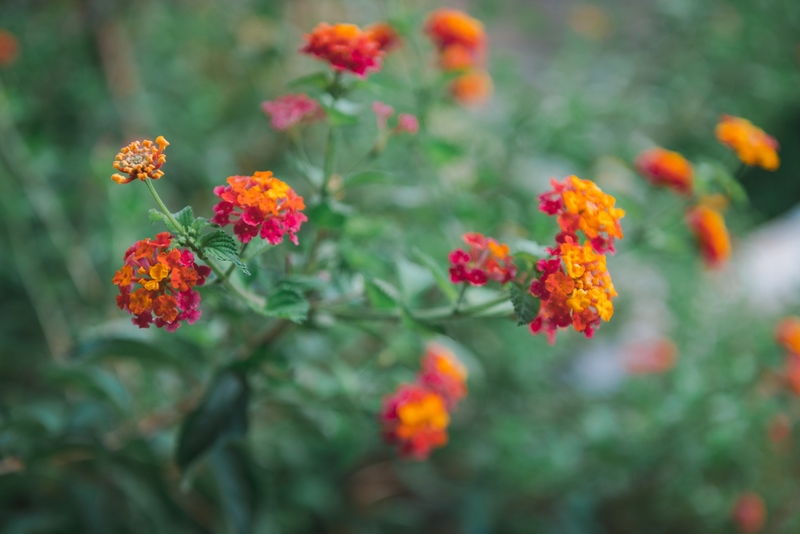 Our schedule was ambitious, and we were challenged to fit in all the things we wanted to do and see, but not run ourselves ragged. After the rigorous tour of Lisbon on foot, it was nice to have a few days to relax and recharge before heading to Porto. In hindsight, planning to visit all the wineries in the valley was probably unrealistic, and I'm happy we decided to forgo all of that running around in exchange for some downtime. In this regard, the poor weather was probably a blessing in disguise. We are often asked what we miss about the Bay Area. After our friends and the House of Prime Rib, we really miss our easy and frequent trips to Napa and Sonoma. 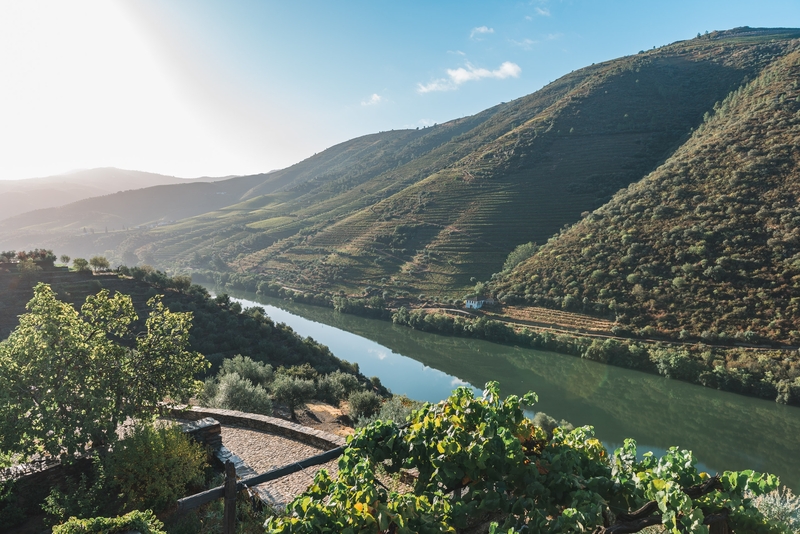 Ironically, the flight to Portugal is about the same length as a flight to California, so we're eager to return and explore more of the emerging wine regions. That afternoon we drove back to the city of Porto, and that will be the subject of our next post from Portugal. 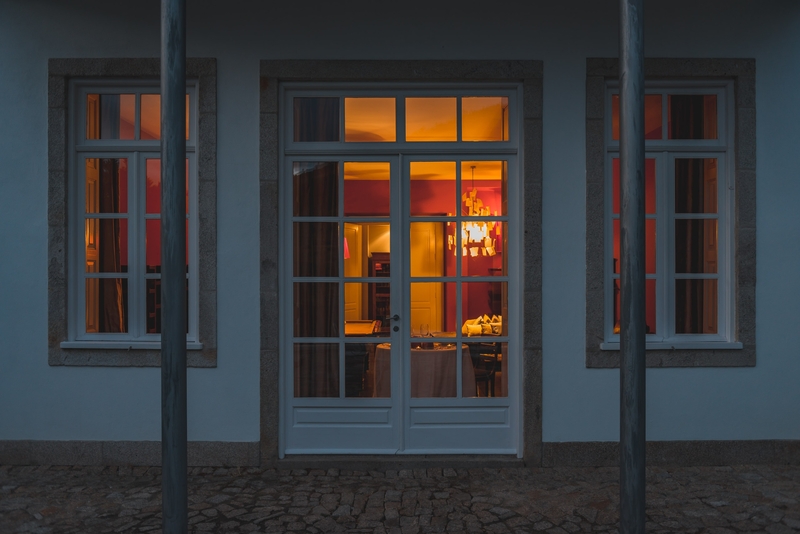 Quinta Romaneira: Sadly, the Quinta Romaneira Hotel has closed. Quinta Romaneira: All meals were had at the hotel.